- A telephone booth, model 1961. 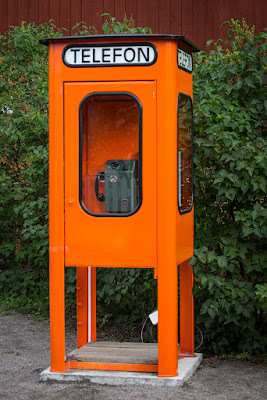 The standard booth installed nationwide by the Swedish state telephone company ("Televerket"), in its standard orange "Televerksorange" paint scheme. - An electrical box as used by the Stockholm Electrical Works ("Elverket"). 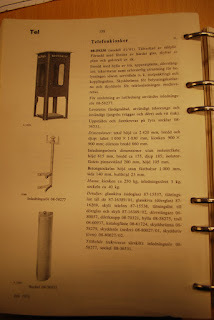 - A typical Swedish rain water well. - A lamp post from those times. And yes, I almost forgot. The diorama will be in the 1:35 scale. which I found on the "Gjutjärn och svart bakelit" blog by Patrik Wandin. 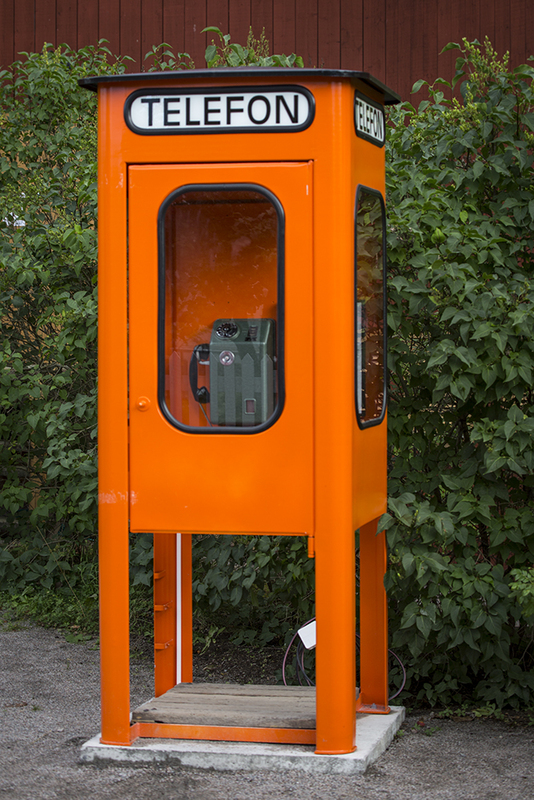 The telephone booth is scratch built using styrene plastic. Here it is in an early stage of the build. In parallel with the booth I have also modeled the actual pay phone, which you can see through the door in the photo above. 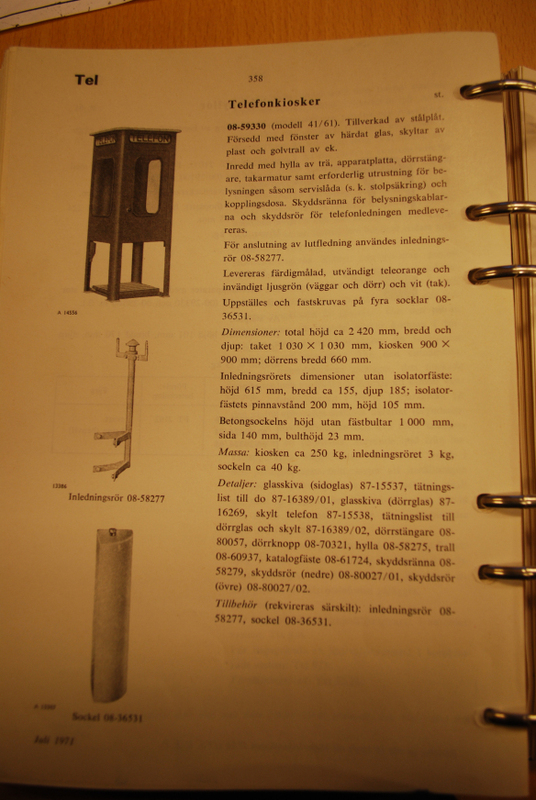 I could not have built my tiny model without the help of David, maintainer of the "Nostalgimacken i Bergkvara" blog. He has been kind enough to provide me with measurements of the phone. Here is the phone and the receiver, along a match for a size comparison. Next, the receiver attached to the phone, which in turn has been glued to what will become the back wall of the telephone booth. To the right of the phone is a rack with telephone directories, typical of this type of booth and time period. The directories mostly hung there unharmed! Those were the days. Finally, the status of the booth as of today. More to come.